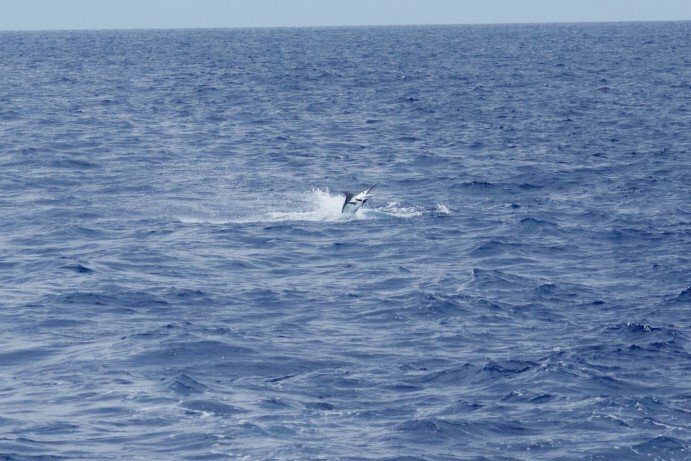 Texas boys went 1-2 today on blue marlin and the one we missed was a nice one. 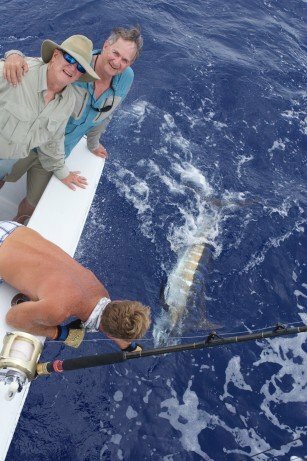 Plus we captured a spearfish as well. They went to Cape Verde which is off the coast in Africa this June and caught as well but nice to show them that we have pretty good fishing for blues here in Hawaii as well.